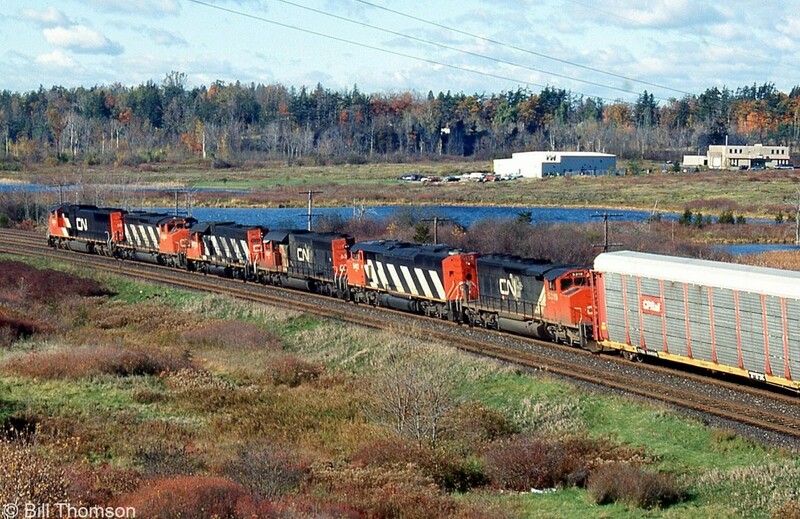 Railpictures.ca - Bill Thomson Photo: A westbound CN freight approaches the VIA Station at Kingston, with six units on the head-end including an SD75I, SD40-2W, GP38-2, SD40-2, SD50F and another SD40-2W. | Railpictures.ca – Canadian Railway Photography – photographie ferroviaire Canadienne. Caption: A westbound CN freight approaches the VIA Station at Kingston, with six units on the head-end including an SD75I, SD40-2W, GP38-2, SD40-2, SD50F and another SD40-2W.